HeyPlantMan! Exotic Tropical Plants from St. Pete FL: Gorgeous November Florida days! This month has finally brought the gorgeous weather that all of us Floridians look so forward to after such long hot months! Last weekend was busy, everyone loved the new Bougainvillea at St. Pete Market, and we also spent gorgeous days down at Anna Maria Island doing an event there. Beautiful little island down there and the people are always so welcoming. This weekend, Mitch and I will be doing the St. Pete Market, while we send our crew down to Venice for a show there. We look forward to being at market as we have not been able to be there ourselves much. We are looking forward to seeing all of our vendor friends and checking out the new additions of food and stuff that we have heard about. 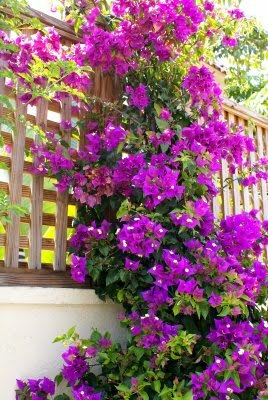 Looks to be another weather weekend so get outside and do some gardening, and if you need some beautiful Bougainvillea, we will have more this weekend, along with some other special offerings !